See, anyone can learn the skills you need to set yourself up for location independence. You don’t need to go to university. You’re not training to become a doctor or a rocket scientist. 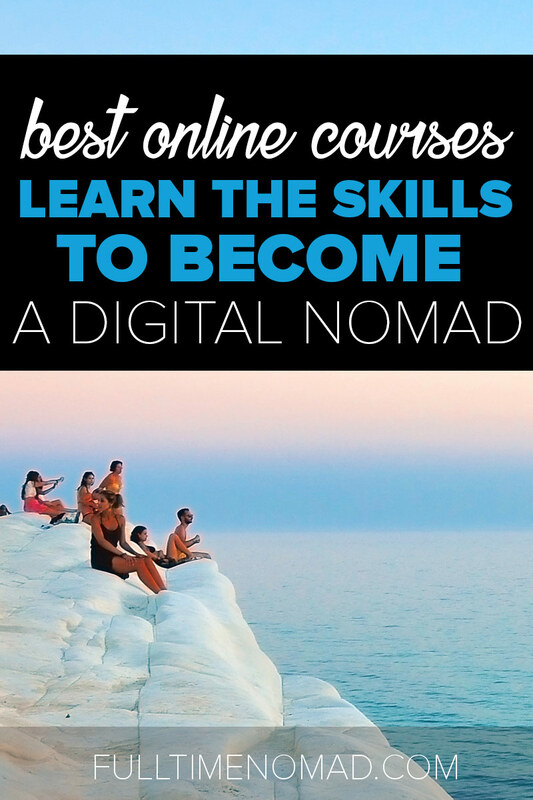 You can learn all the skills you need by taking an online course. And then perfect them by actually putting them to use i.e. practical learning. Practice makes perfect, remember? There are soooo many course/boot camp options online where you can choose a highly focused area to fast track your skills in a matter of months or weeks. 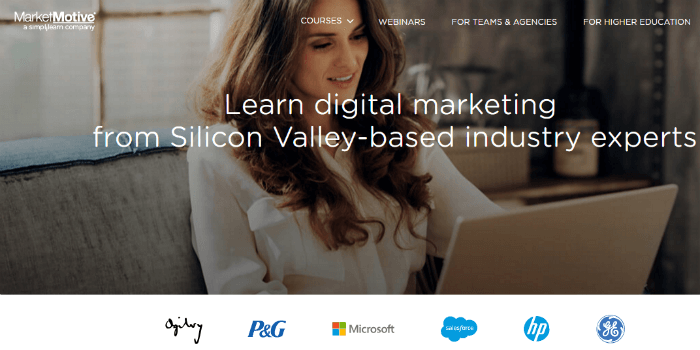 From coding to PPC marketing, customer service to video editing – there’s an online course for everything. 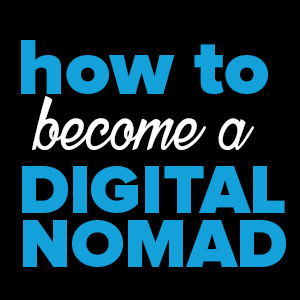 You don’t need a degree or a piece of paper to become a digital nomad. What you need is the willingness to learn a new skill. So obviously not all online course providers are equal, so below you’re going to find a list of the best online course providers – i.e. the big guns. We’ve organised it in categories so you can easily find the one you need. 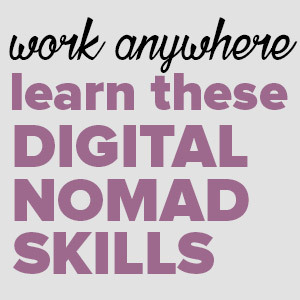 Skillshare offers thousands of courses covering subjects such as design, writing, film, entrepreneurialism, and even culinary topics. These bite-sized courses are hands-on and project-based. They are designed to fill the gaps and help you develop and touch up your professional skills. SPECIAL OFFER: If you want to learn a new skill or advance current skills, right now Skillshare.com are offering unlimited access to more than 25,000 classes for free – Click here to access. Udemy is one of the most popular online course providers. It has more than 22,000 courses that cover a variety of skills and interests and is definitely one of the most comprehensive course providers. Courses range from digital marketing to graphic design, photography to self-improvement, coding to knitting – there’s a bit of something for everyone. Lynda has over 3300 video courses business, photography, design, development, creative skills, education, sounds production among others. The courses are available in many short videos. 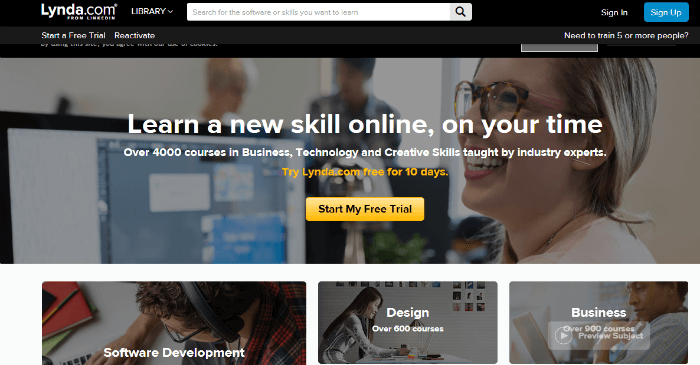 A lot of the courses on Lynda are project based and very engaging. You will find a good number of courses that will teach you the fundamentals of running a business. Alison is a free, online platform where you can learn various skills and get a certification. The platform has over 300 courses that you can choose from, such as IT, Business Management, Web Design, Marketing, English Language Skills, Personal Development among other courses. CreativeLive specialises in courses directed to anyone interested in expanding their creativity as writers, photographers, entrepreneurs, business professionals, artists, or craftsmen. Most courses are taught in front of a live audience, making it easy for you to interact with the instructors and other learners. Coursera is has partnered with top universities and organisations all over the world and together, they offer online courses online free of charge. You can take as many courses as you want from the over 1,000 courses available on Coursera. The courses involve subjects that include everything you can think of from business to accounting and finance to digital marketing. EdX offers over 400 online courses in collaboration with many of the top universities in the world, such as Harvard, MIT, UC Berkeley, and Caltech, among others. The courses span a large range of topics and are taught by professors at many of the world’s top universities. You can take any course for free, but if you want a certificate of completion, you will be charged a nominal fee. Canvas Network offers open, online courses from colleges, universities, and organisations worldwide. Canvas Network provides courses that encourage personal growth, professional development, and academic excellence. eduCBA is an online training platform that offers 2000+ online courses from industry leading experts. Courses include personality development, soft skills, design, investment banking, business skills, office productivity, animation, programming, web development, marketing, among much more. The platform offers unlimited access to the courses allowing you to learn anytime from anywhere. Udacity was born out of a Stanford University experiment. Udacity offers the robust course on many different topics from robotics to design theories in everyday life. The platform offers a summary of all courses letting you know the difficulty level, why the course is important, any prerequisites for taking it, and the project you will complete at the end. This gives you the chance to easily scan through and choose what suits you best. During a course, you will create incredible work, gain real-world experience, and build a compelling and informative portfolio that you can use to pitch to clients why you’re the one for the job. Ed2go has partnered with 2,100 colleges and universities to offer virtual instructor-led affordable online courses. The site offers hundreds of engaging online courses, covering every topic from Accounting to Graphic Design. Each course is taught by an instructor and involves lively discussions with your fellow students. 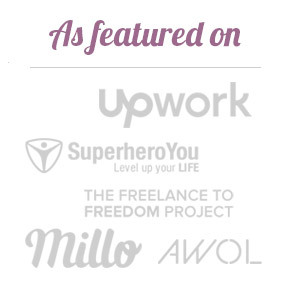 You stand to earn plenty of practical information that you can put to immediate use in your freelance business. Treehouse courses very project-oriented and aim at giving you hands-on immediate experience. For example, if you take the Web Design course, you’ll learn all about building a responsive website or even WordPress theme. Each course is divided into different modules. You get a free trial for the first module and then you’re invited to pay a monthly subscription fee of $25 to access all the courses. If you want to be an expert programmer you could choose to subscribe the $49 monthly plan to access in-depth interviews with leading industry experts and cutting-edge workshops. 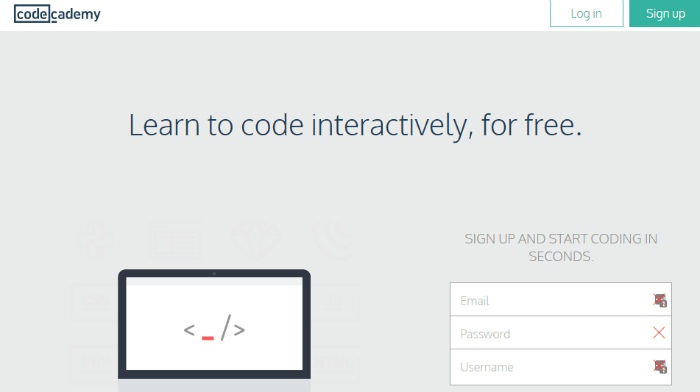 Codecademy teaches people coding languages such as PHP, Python, and Ruby—all available for free. Coding skills are often overlooked and preserved for people interested in IT. 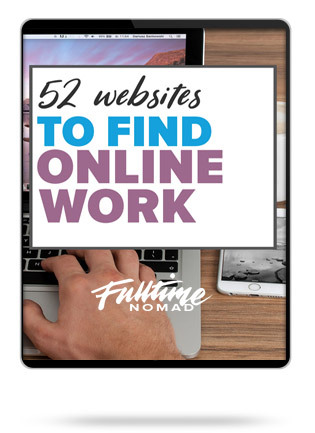 As a digital nomad trying to sell your services and products online, having basic coding skills to help you create attractive and interactive websites will set you apart from the competition. 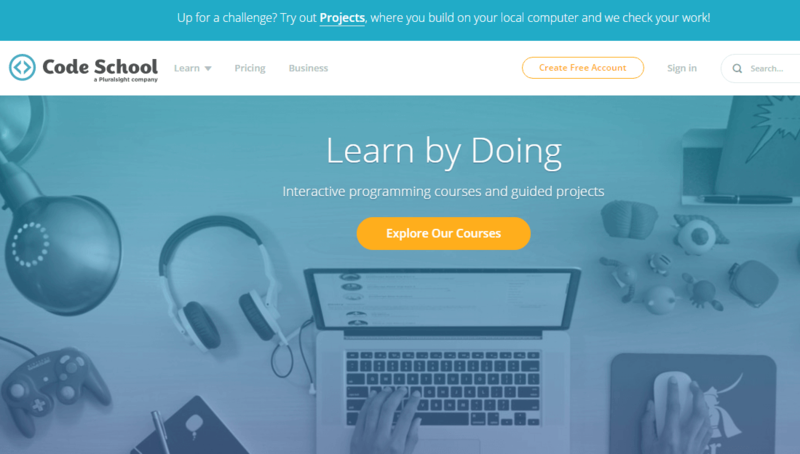 Most course platforms take a “learn at your own pace” approach, but Codecademy encourages learners to keep a fast pace through the use of interactive games where you earn points for units completed. By the time you’re done with a course, you’ll be already building and deploying amazing websites or applications. Skillcrush offers professional web design and coding courses that are easy to follow for anyone interested in the field, regardless of their background. You can choose between two types of classes— short, easy-to-consume three-week course or a 3-month Career Blueprint that will help you focus on your career priorities. 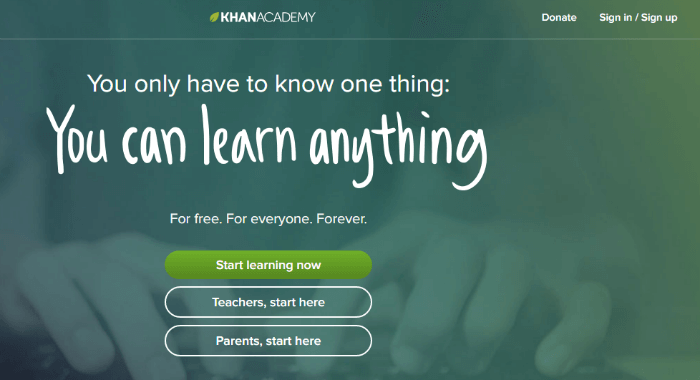 Khan Academy offers free online courses that are mainly popular among school goers. However the site has an excellent section on computing courses which can teach you everything from the basics of programming to developing an understanding of how algorithms work. There’s also a section called ‘Hour of Code’ which will introduce you to the basic concepts of programming, making web pages and also databases. Worth checking out. 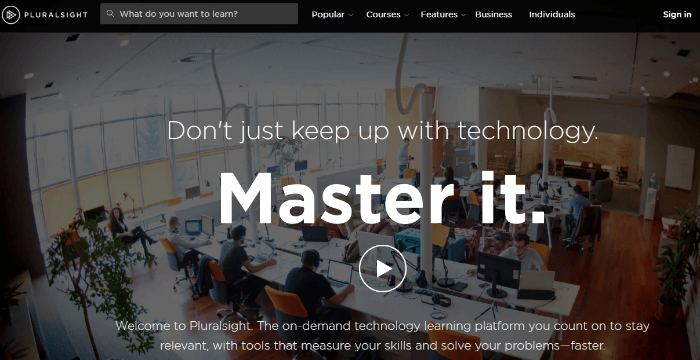 Pluralsight offers over 1400 courses, that can earn you IT, design, programming, and software development skills. The courses are available on a subscription basis. There are also a good number of courses geared towards achieving leading industry certifications such as Cisco, Citrix, CompTIA, CWNP, Microsoft, and VMWare. 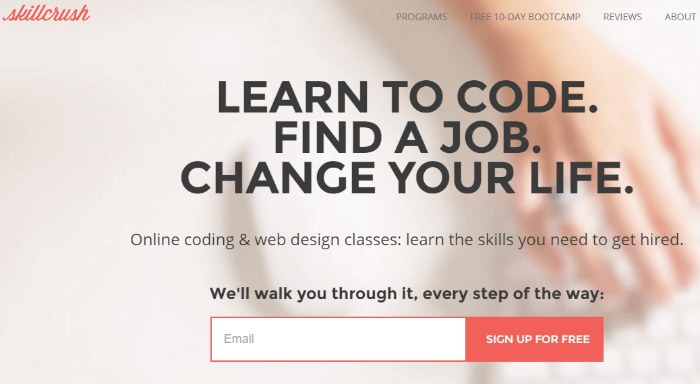 Code School teaches you how to code by doing and not just in theory. The classes involve video lessons, coding challenges, and screencasts. The videos are quirky and fun, which is a refreshing break from typically boring video tutorials. Envato Tuts+ offers skill-based instruction in coding, as well as design and business topics. You get “Learning Guides” to help you excel in particular practical coding skill sets. The platform breaks down individual courses into a number of small-sized and skill-based videos, that help you take what you want to learn, and avoid data you might already know. They also offer specialised material for mobile development, design, online marketing, and web-based businesses — everything you need to start your own website or web app from scratch. Mijingo helps you to learn how to create a fully functioning website in no time. From the design, development and publishing of your website giving you control over what you create. The courses are offered through well-crafted video courses. 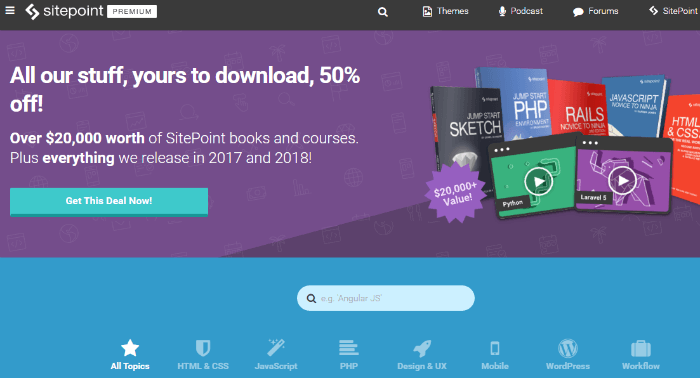 You can get the 8-course series for $99 and learn HTML5, Sass, Responsive Web Design, website deployment, typography, and more.26. One Month is a unique platform that focuses on teaching valuable coding skills in just one month. The platform specializes in offering courses in technology related subjects such as HTML, Ruby on Rails, and Stripe Payments. The courses offer well-organised information that can be consumed in just a few weeks and can be applied immediately to make a real impact on your business. Hack Design collaborated with expert designers around the world to create a lesson plan with 50 units on design for the web, mobile apps and more. Each unit comes with articles and videos. Hack Design together with the designers, curate multiple valuable sources such as videos, tutorials, books, blogs, and games to help you learn better. These resources are all free of charge. 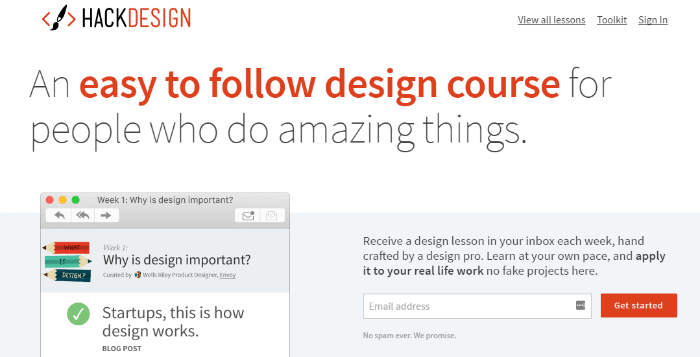 How Design University (How U) has both free and paid online lessons on graphic and interactive design. At HOW U you get to learn alongside some of the best-known influential designers in the industry. Whether you’re a beginner or want to upscale your design skills, the university has the courses to help you become more inspired, more creative and more successful. Learn through in-depth lesson plans including video, white papers, articles, worksheets, projects, creative exercises and other resources to help you apply what you’re learning to your day-to-day work. Courses run from 1-4 weeks in length but you can also take several learn at your own pace courses. 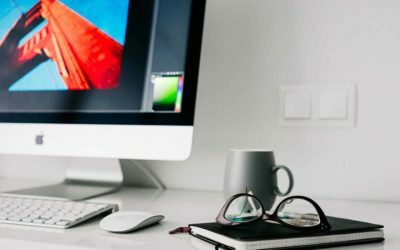 Kelby One offers hundreds of hours of video training on photography, Photoshop, Lightroom, Adobe Creative Cloud and many other topics related to graphic design. With these courses, that will take your photos and images to the next level. So no more boring blog images! To access the site, you are required to pay a subscription fee of $24 per month and you get to watch as many photography videos as you want. The folks at Kelby One use an all-star team of photographers to create the instruction online video classes. 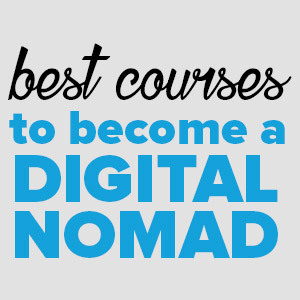 Want even more online tech & design course options? On CreativeLive: Art & Design courses including topics such as typography, branding, hand lettering and even greeting card design. 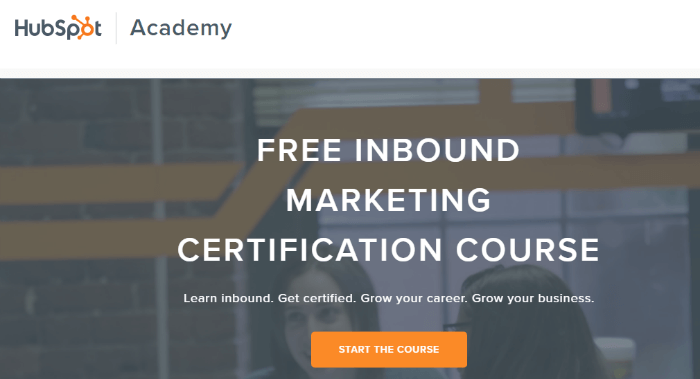 Hubspot‘s free inbound marketing course is a great place to start if you want to learn what inbound marketing is and how it can help a business. You will understand how blogging, SEO, lead generation, landing pages and conversion data analysis all fit into the inbound marketing puzzle. The Hubspot Academy also offers other training videos on marketing and sales. MarketingProfs is a good platform if you want to work on your marketing skills to sell your business or client businesses better. MarketingProfs features advice and tips from the best marketers in the world as part of its training. Content is offered in form of guides, reports, webinars, podcasts, articles, conferences, and newsletters. The courses are exhaustive and cover all aspects of marketing including branding, PR, social media, and email marketing. The courses focus on how you will apply the marketing concepts in real work environments. Hootsuite is well known for its social media management system for businesses and organisations. 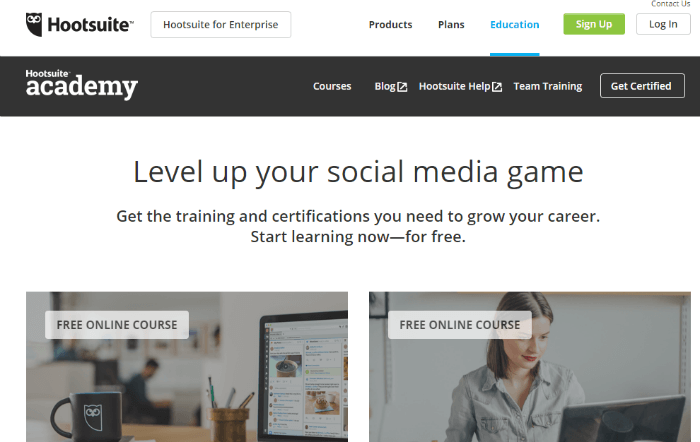 The brand also has an online learning platform – Hootsuite University – which offers a social media certification program. This is a great certification to have especially if you plan to offer social media management services to your clients. Market Motive aims at providing an efficient way to learn about Internet marketing from industry leaders. If you practice Internet marketing for a living, then you will find this platform to be useful. Besides getting access to the course materials, you can also engage industry experts via a private forum. Market Motive courses cover key areas of Internet marketing including SEO, Social Media, Content Marketing, Conversion Optimization, Web Analytics, PPC, Mobile Marketing, and Email Marketing. Google Analytics knowledge will take you far in the world of online marketing. Make yourself irresistible to potential clients by acquiring a Google Analytics Individual Qualification offered by Google Analytics Academy. The course is appropriate for web administrators, marketing professionals, and entrepreneurs. It’s free and in our opinion, it’s a super valuable skill to have. 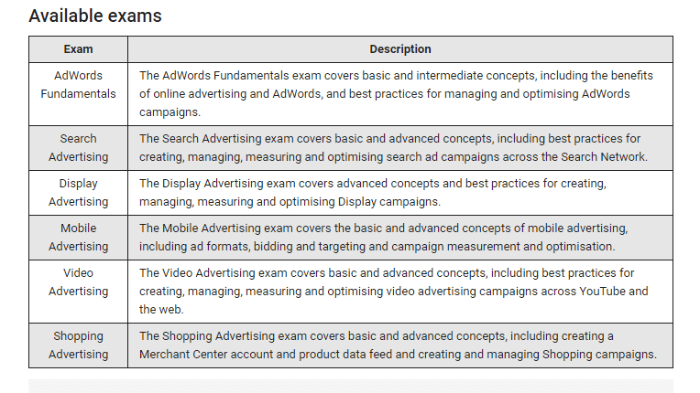 If you’re interested in a career in PPC advertising or simply need a better understanding of how paid advertising works, this is a great course to take. Use the study guides well before you take the exam. PPC University is an online course aimed at online advertisers. The course has three levels; beginner (AdWords for Dummies, best practices, and advanced strategies. The course enables you to fully understand how online advertising works. The university also offers e-books, guides, and white papers, search-marketing webinars, and PPC analysis, all for free as part of learning. 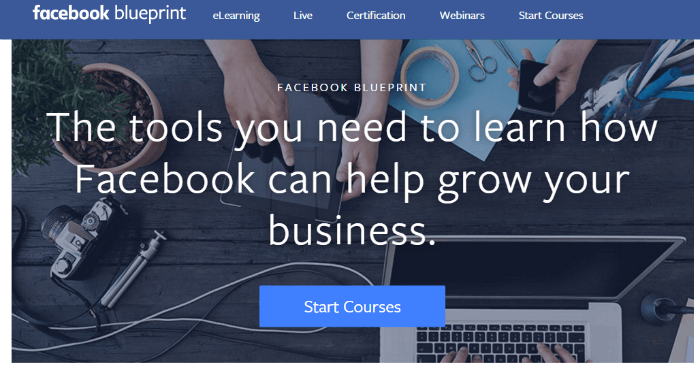 Facebook Blueprint is a course aimed at helping marketers gain a beginner’s knowledge of how Facebook advertising works. You will learn to create Facebook ad campaigns that drive business results. The course covers topics such as how to optimise a campaign, using video on Facebook and how to measure your ad campaigns. Social Media Quickstarter is a beginner’s course ins social media offered by Constant Contact. The course will teach you about marketing tactics for all the major social media platforms including Instagram, Pinterest, Twitter, Facebook, LinkedIn, YouTube, and Google+. The course includes practical examples of how each tactic is used. 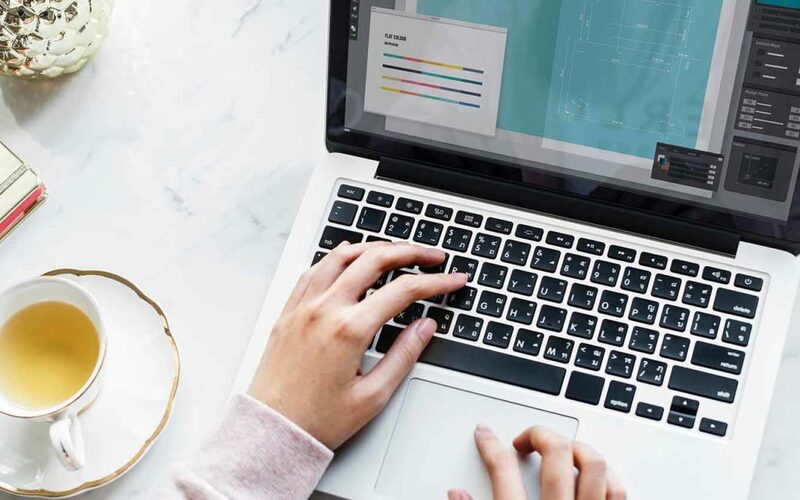 By the end of the course, you’ll be able to understand why social media is essential to your business and learn how to avoid the most common social media marketing mistakes. Want even more online marketing and social media course options? Purdue University’s Online Writing Lab popularly known as Purdue OWL is an online writing centre dedicated to helping people improve their English writing skills. 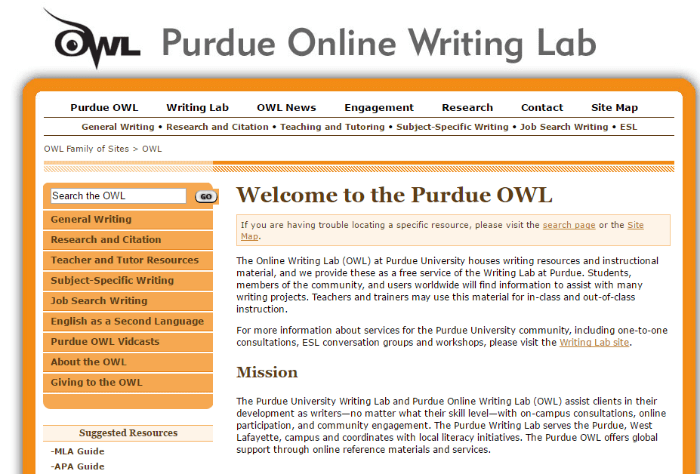 Purdue OWL courses are open to anyone worldwide through online resources and guides. The writing lab also tackles other related writing issues such as Writer’s block, proofreading, development of an outline, thesis writing, and so on. Courses are divided into two sections – general writing and the Writing process, both covering issues that most of the people face while writing in English. Writer’s Digest University is one of the best professional online workshops to improve your English writing. The online workshops are great to help you improve your freelance, fiction, nonfiction, and short stories writing skills. The university offers 76 online workshops covering a huge range of topics. The courses are quite pricey, starting from $139 to as high as $700. 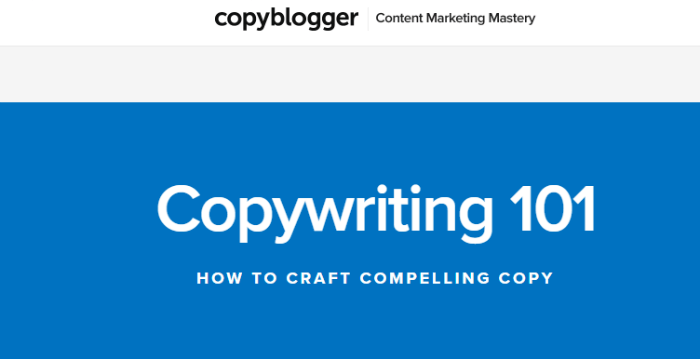 Copyblogger offers a ton of learning material from well known Content Marketing experts. The Copyblogger Authority library has a range of blog posts, articles, eBooks and recorded webinars about content marketing, copywriting, landing pages, SEO copywriting, keyword research, Email marketing, and Internet marketing. The courses take about 4 weeks. Wistia offers free training and tutorials for video editors and producers. The platform combines high quality written tutorials and original video content that are easy to understand. The tutorials also cover other skills such as shooting and marketing your video projects. Want even more online video editing course options? ServiceSkills.com is online learning platform offering unique customer service oriented courses. If you are interested in working on the go as a customer service support agent, then this is a platform that you should definitely check out. Topics include customer service, client retention, team building, employee relations, email etiquette, conflict resolution and management development topics. Learning involves the use of features video lessons, quizzes, answer feedback and key point reminders, You’ll receive a certificate of completion once you’re done with a course. Want even more online customer service training course options? 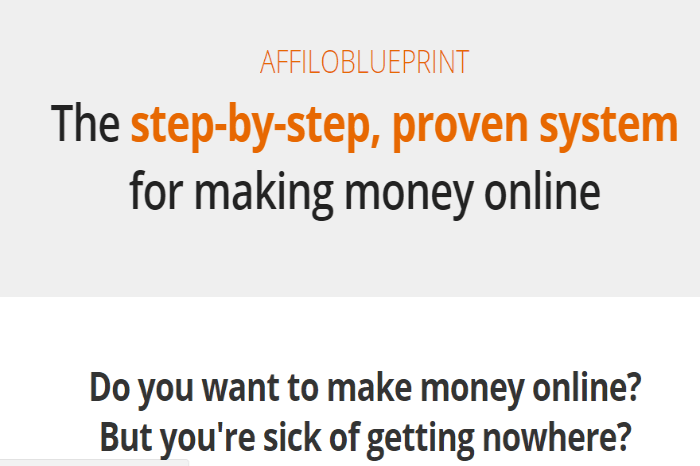 AffiloBluePrint is an affiliate marketing training course that takes beginners through a step-by-step course on how to get started on affiliate marketing. The course has 12 steps, and each step has videos, notes, and homework assignments. 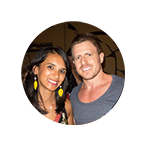 The course is based on a strategy used by Mark Ling the creator of Affilorama, that saw him achieve huge successes when he started out as an affiliate marketer. 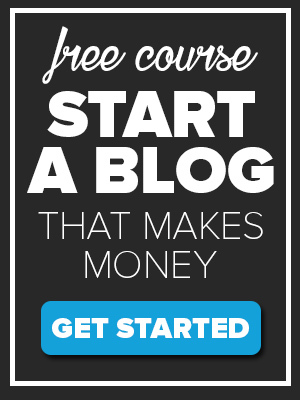 Want even more online affiliate marketing course options? 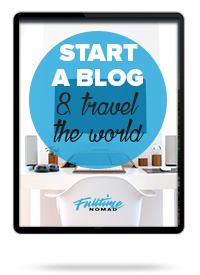 Don’t defer your love for travel just because you lack the skill. 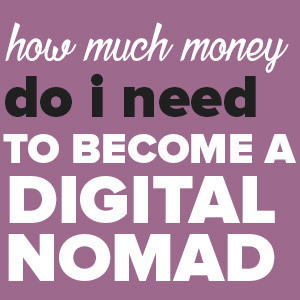 With these options, both free and paid, you can quickly learn a skill of your choice and start your digital nomad life in no time. The options we have mentioned above are by no means exhaustive. These are just some of the best online course providers and platforms to get you started and keep you going. Have you tried any of these online learning platforms to teach yourself a skill? Are there any other platforms you’d recommend?